As promised in yesterday's post, I'm naming the fourth member of my Cyber Privateer Fantasy League championship team: Nancy M. Harvey, PhD. 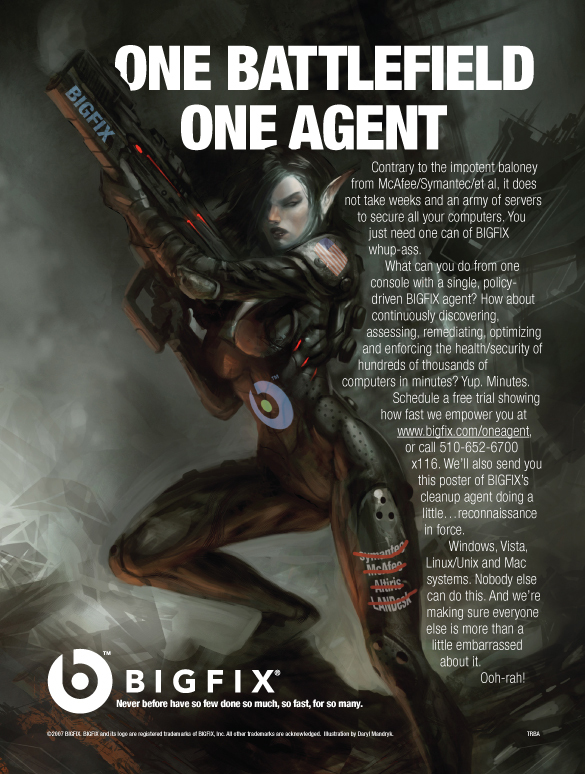 What qualifies her for the role, other than a remarkable physical resemblance (except for the ears) to be the first female cyber privateer as personified in my BigFix ad (shown here, again)? Simply, Dr. Harvey is an operational genius. Tough as nails and impossible to intimidate, she served as the President and CEO of TenFold. As a member of the board of directors, I observed a toughness and operational brilliance I've never seen in any other executive. When Stephen Wolfram (inventor of Mathematica and author of the most fabulous technology book I've ever encountered, A New Kind of Science ) wanted someone to bring Wolfram | Alpha live and then negotiate use of it to Yahoo! and Microsoft, he nabbed Dr. Harvey to be in charge of the effort. This establishes reasonable independent verification of her genius. While they don't know each other, I have no doubt she'd work well with both Larry Ellison and Marc Benioff. And my ultimate virus architect Jeff Walker recruited her to be TenFold's CEO, so I know they'd make a good team. The job I have in mind for Dr. Harvey is to be the public face for any criminals who are looted and who invoke their right of parley as stated in the Cyber Privateer Code. Not only would she be the face seen on the public parley video conferences, but she would be the organization compliance officer, charged with making sure that no innocents are inadvertently looted. Remember, the restitution provisions of looting an innocent are not only onerous, but they are large enough to threaten the very existence of the cyber privateer entity. She's smart enough to see through a fake attempt to plead innocence, tough enough to be immune to threats from some drug lord who just lost a billion or so dollars (it helps that she doesn't have a large number of relatives that could be kidnapped and sent to her piece by piece), street-wise enough to recognize promising talent for recruitment, and thorough enough to make sure the proper releases are signed prior to settlement or repatriation of funds. Speaking of compliance, notice the gun my cyber privateer creation is holding. William Gibson, inventor of the "cyber punk" genre, just came out with his latest book (Zero History ). On page 64 he describes another weapon as a "compliance tool." My Cyber Privateer Fantasy League team will have some swell "compliance tools." 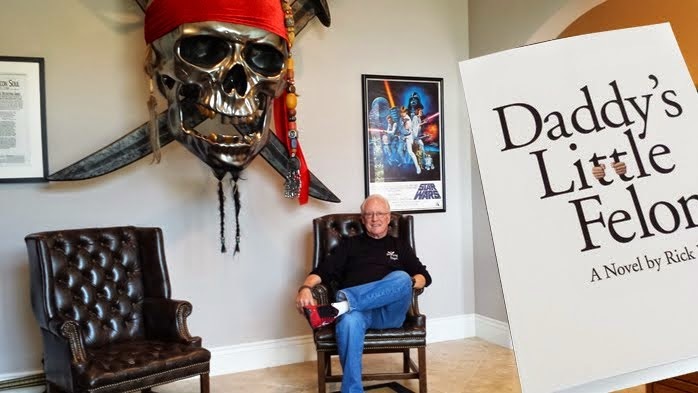 If they ever make my novel into a movie, I'd like to host a sneak preview party just for my Cyber Privateer Fantasy League team members. Seeing their chemistry at an actual meeting would be wonderful entertainment all by itself. So Dr. Harvey, welcome to an elite squad. Since you haven't responded to my email from yesterday, you must be off on your jaunt to climb Mt. Kilimanjaro (oh yeah, Nancy Harvey takes an annual adventure that's parsecs outside my own comfort zone).